I’ve rounded up top beauty gift with purchase offers from Skinstore Friends and Family, Marc Jacobs Beauty Secret sale, The Body Shop Mother’s Day Tote, Decorte gift with purchase, Lookfantastic beauty egg discount, and more! Marc Jacobs Beauty (NEW)Secret Sale! Extra 20% off sale items only, ends 4/19. Use code SHH20 at checkout. Includes all sale items. E.g., 6-piece travel brush set reg $135 now $63.20 with coupon. (NEW) Major Minis 7-piece Travel-size Beauty Bestsellers Set $50 ($86 value) This post may contain affiliate links. Read the full disclosure. Caudalie Friends & Family Sale 50% off luxe skincare and free gifts! Plus, new beauty sale and Shiseido gift with purchase at Macy’s, Clinique gift and exclusive Clinique PWP at Bloomingdale’s, Lancome gift with purchase at Bergdorf Goodman and awesome Clinique bonust at Clinique USA. Over 40 GWP updates below! Caudalie Friends and Family has begun. Enjoy 20% OFF the entire site and up to 50% OFF on selected items + FREE shipping until April 16th! No Code Necessary. This post may contain affiliate links. Read the full disclosure. Neiman Marcus fans, there are four new beauty sample bundles you can grab right now with any $50 beauty purchase. Plus, there are so many good Vitamin C Day gift with purchase! Neiman Marcus (NEW) Receive 5-piece Neiman Marcus sample bundle with any $50 beauty purchase. No code needed and while supplies last. Thanks kristinesideas ❤ for the update! This post may contain affiliate links. Read the full disclosure. Milani is offering IcanGWP x Milani Semi-Exclusive Offer! During Milani Friends & Family sale, take 25% off all purchases with code GWPFRIEND25 through 4/7. Combined with the next gift with purchase kit! This post may contain affiliate links. Read the full disclosure. 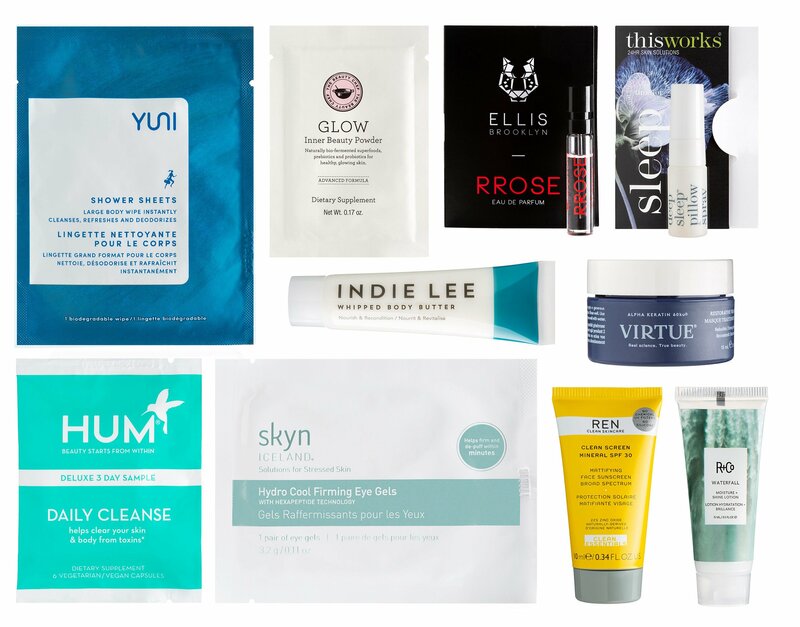 I’ve rounded up the Best April’s Fool Beauty Deals 2019 and a new ULTA 10-piece sampler! Ulta (NEW) Platinum Perk!Receive a FREE 10 Pc Sampler with any $20 foundation purchase. One per customer. Offer valid 4/1/2019 or while quantities last. Gift includes: This post may contain affiliate links. Read the full disclosure. QVC Beauty with Benefits 2019 free gift bag event has begun April 1at, 2019. This year with any purchase from qvc.com/beauty-with-benefits at QVC, you will get a free 13-piece QVC Beauty With Benefit Gift Bag worth at least $203. When you shop this event for cosmetics & more donated by top brands, 80% of your purchase price benefits Cancer and Careers. QVC The shipping cost is usually $3 but during the promotion time, all these items shipping cost is reduced to $2! Is it your first purchase? See coupon code below. UPDATE: Use code TAKE10 or HELLO10 to get a discount for new customers (thanks our lovely 007 for the update!) This post may contain affiliate links. Read the full disclosure. Debenhams UK is offering up a new Debenhams Beauty Discovery Box £35 or £17.50 with any beauty purchase. I’ve rounded up new gift with purchase offers below! This post may contain affiliate links. Read the full disclosure. Eve Lom Full Size Gift with Purchase worth up to $95 + free worldwide shipping and 3 New Limited Edition Beauty Boxes + GWP Updates! EVE LOM (NEW)(HOT)(Today Only)(VERY RARE) Choose Your Free Full Size Gift When You Spend £100! Choose from Time Retreat Radiance Boost Treatment $95 value, Time Retreat Eye Treatment $75 value Or Morning Time Cleanser $60 value. his post may contain affiliate links. Read the full disclosure.